Lemon City Live got called up to the big show. That’s right, kids. We left the comfort of our own backyard, temporarily, and headed north up the Turnpike to our first MLS game. 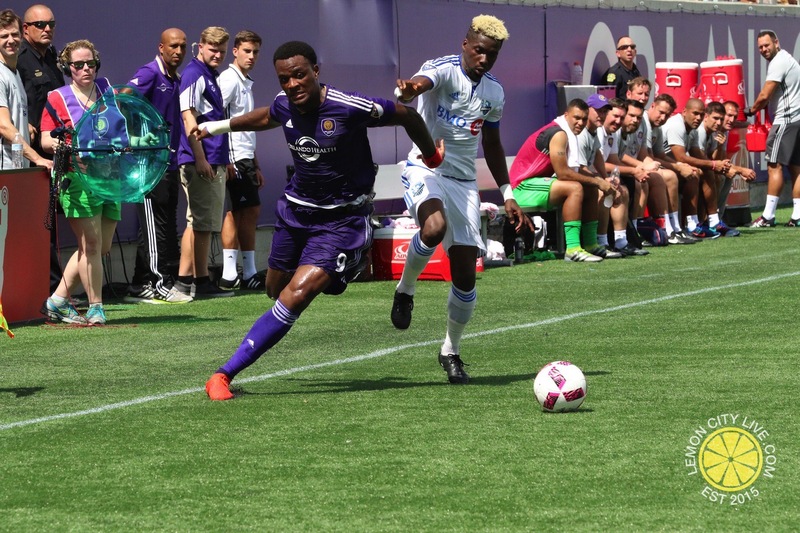 The Orlando City SC hosted the Montreal Impact in a game that had playoff implications for both clubs involved. Orlando found themselves just out of the Eastern Conference standings with 35 points as their counterparts hung on to the 6th and last spot with 41 points. Montreal looked to avoid a loss on the road while simultaneously holding off one of the teams attempting to leapfrog them as the regular season winds down. Orlando came out in their second to last game at Camping World Stadium hoping to close out their regular season positively so they get a few more games. 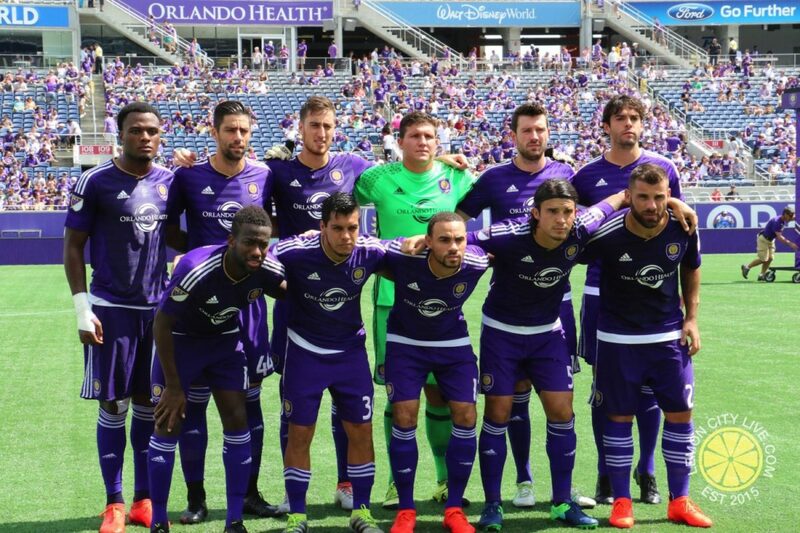 Their new stadium being built and set to open next year, Orlando needed the current home field advantage to keep the playoff hopes alive as anything but a loss would keep them in the running, but the three points from a home win would be much needed and appreciated. 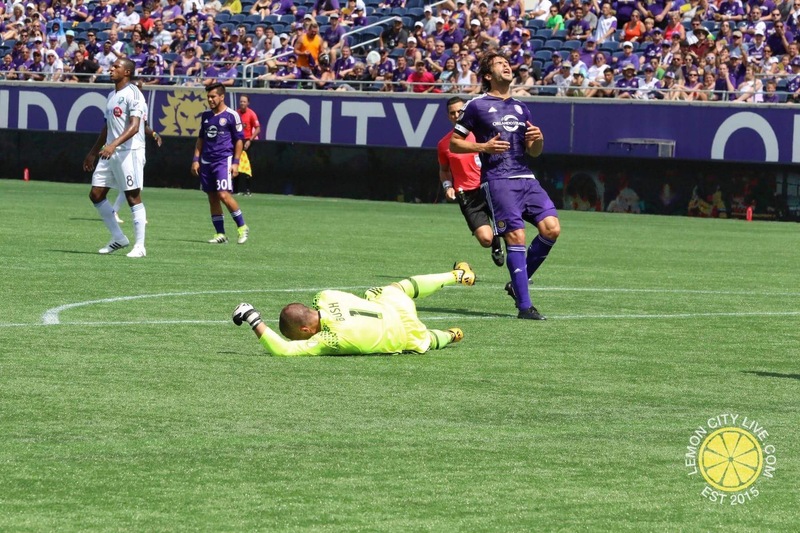 Their star player Kaka certainly seemed to feel the urgency as he and forward Cyle Larin set out to an aggressive pace and sought the early lead against the preventative road defense of the Impact. However, the Lions’ duo had very little to show for a few impressive runs that continually resulted in offsides flags being held up, touches just a bit out of reach or balls ending safely with Montreal GK Evan Bush. Not much else to be said about a relatively uneventful first half as they headed into the locker rooms knotted at 0-0. The second half is where the party at. It was #LIT. Orlando clearly felt a sense of urgency as they used their first two subs within 7 minutes to bring in Julio Baptista and Seb Hines. However, it would be Montreal that struck first with a 56th minute breakaway on the counter that resulted in a beautiful right foot tap by Dominic Oduro to cross up Orlando GK Joe Bendik in a one-on-one situation. The Impact had their road lead to protect and escape Orlando with three points and solidify their playoff hopes. The play of the game, though, came in the 62nd minute as Bush absolutely robbed Larin of the equalizer with a miraculous save just feet from the goal line set up by a Luke Boden cross. Bush denied Orlando and Larin once more in the 88th minute as he tapped a header off a corner right over the crossbar and sealed the 1-0 victory for his squad. Orlando City’s playoff aspirations come to an end with the L in this one. With only two matches left, the Lions have run out of time to gather enough points to get them to the post-season. Montreal, however, moves up the standings and into 4th place in the Eastern Coference with 44 points and two matches yet to play as well. Interestingly enough, Didier Drogba – a Lemon City Live favorite – did not find his way into this important match, perhaps the blistering Florida heat proved a bit too much for the seasoned veteran as he attempts to stay fresh and healthy for the playoff push. Orlando, it’s been real. We shall see each other again in your next home – your second one while David Beckham and Miami still can’t seem to get it together – when you open up the 2017 season with your lovely new facilities. For the time being, we will head back home to proudly cover our local NASL teams. But the one big takeaway bigger than the game itself is this: an attendance of 26, 401 on a crazy hot afternoon, the ruckus brought on by The Wall and the rest of the supporters, along with the overwhelming support seen everywhere around the Orlando area for their team, soccer clearly continues to prove its place in the Florida market; proof that it cannot only exist, but flourish.